Is the Trinity Unbiblical, Unbelievable, and Irrelevant? is a chapter from Nicky Gumbel's book, Searching Issues. 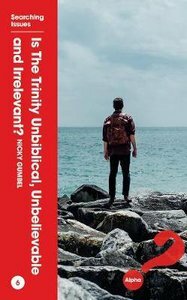 Nicky tackles questions around the Trinity, as it is one of the most challenging doctrines of the Christian faith and one of the most common questions asked on Alpha. This is an ideal take away for an Alpha guest who is struggling with this topic or anyone curious to find out more. About "Is the Trinity Unbiblical, Unbelievable, and Irrelevant? (Searching Issues Chapter Series)"